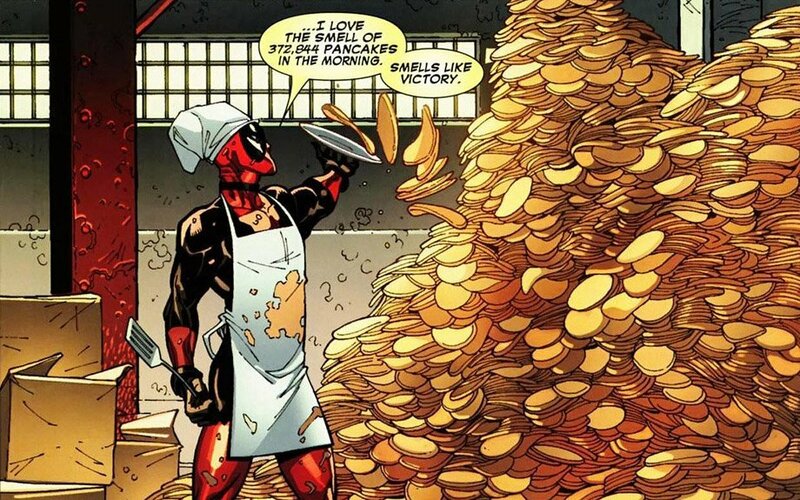 Our third installment of Where to Start is about the “Merc with the Mouth” himself: Wade Wilson, also known as Deadpool! One of the most popular newer characters, Deadpool strikes a chord with modern comic fans and the internet alike and to get you ready for the “Deadpool” movie that’s due out soon, we thought he would be the perfect character to feature! We will start with a quick look at where he comes from and then follow up with a few lists of current and classic stories every Deadpool fan should check out! Deadpool was created by writer Fabian Nicieza and artist Rob Liefeld in The New Mutants #98 in 1991, where he was hired to attack Cable and the New Mutants! Nicieza came up with the characters speech patterns, while Liefeld designed the iconic costume and look of the merc with the mouth. 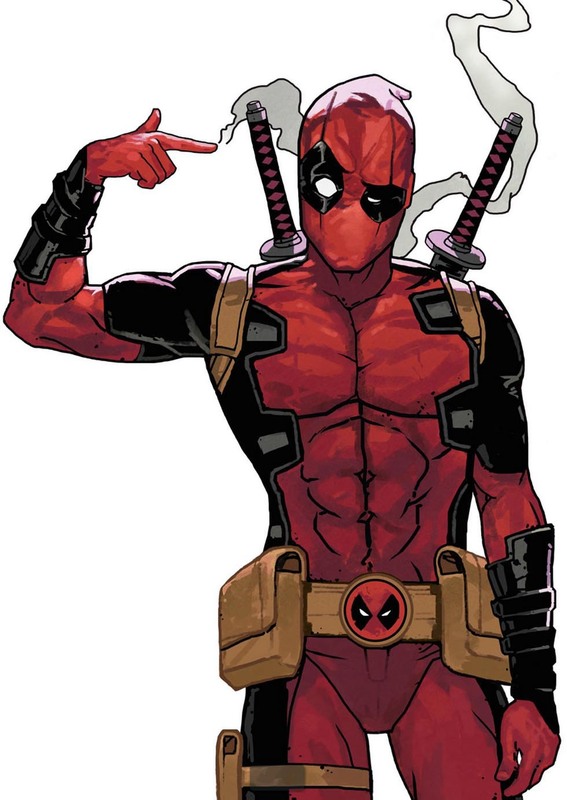 After Nicieza pointed out that the character looks a lot like Slade “Deathstroke” Wilson from DC’s New Teen Titans, the pair came up with the name Wade Wilson, to imply a family connection between the two characters. In his first appearance the character was a lot darker than his modern incarnation and featured a more dark and mean sense of humor. Even with that small appearance and a guest spot in X-Force, the character was a breakout hit with readers and received his first mini series soon after, titled the Circle Chase, written by Fabian Nicieza and a second mini series written by Mark Waid followed. In 1997 he got his first ongoing series, written by Joe Kelly and Ed McGuinness as artist, which was the first time that the character became the satire on 90s comics and antiheroes as which he is known today! The character really took off in the later 00s, where he had multiple monthly ongoing series at once, which spoke to the growing popularity of the character. His origin shrouded in mystery and madness, Wade got into bed with the Weapon X program, which gave Wolverine his adamantium skeleton. Suffering from cancer, Wade took a chance on the procedure, which would imbue himself with an even stronger version of Wolverine’s healing factor. If he always has been insane or if that was a side effect of the things that happened to him during Weapon X depends on which story you read/prefer, but some books even go as far as to say that Wade isn’t mad at all, he just knows that he is a fictional character and uses that to his advantage. That is also what a lot of fans love most about him: his ability to break the fourth wall and talk directly to the reader, or reference other pop culture stuff outside of Marvel comics (for example the time where he claimed to have all the Lantern symbols drawn on his toenails from DC’s Blackest Night event). A master swordsman, marksman and hand to hand combatant, Deadpool is one of the Marvel universe’s most deadly fighters, especially when his opponents underestimate him, which happens due to his funny nature quite often. As popular as Deadpool is right now, compared to our first two characters in this series (Batman and Spider-man) he is still relatively new and unknown to the general mainstream, which is why his only real live action film version is about to debut next month. He has been featured in a few videogames however and also had some animated appearances. As crazy as Wade can be, his personality has shifted with each writer who had his hands on him, so I will tell you what kinda of version of Deadpool you are going to get with every book or run of books on this list. To make your entrance into Wade’s crazy world, here is a list you could follow. Just click on the links to be redirected to the book or series in our store. If you are already a well read merc, head down to the comment section and tell us if we missed something you deem a must read. 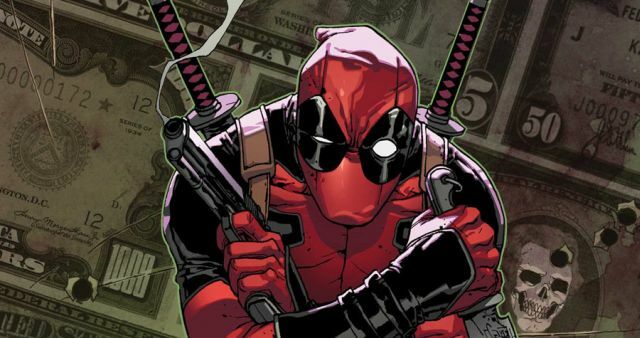 Marvel did another reboot/relaunch last Fall, so if you wanted you could just start with Deadpool #1 which is a nice enough entry point if you just wanna check out the character before making any deep commitments. I would actually recommend to go back a bit further and start Deadpool with the earlier relaunch, called Marvel Now, which was in 2012. 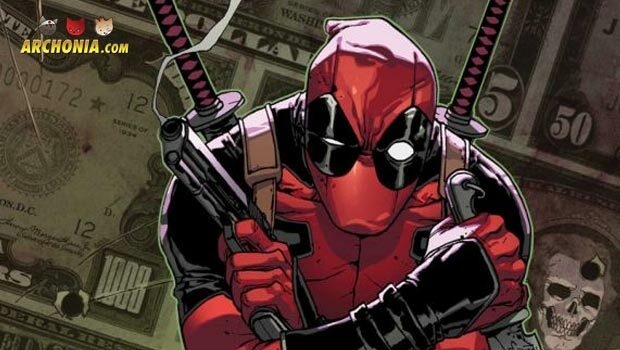 Deadpool got a new series there too, which takes place before the current one and is even written by one of the same writers, so it will probably build on each other. The tone here is very interesting, since it is overall the usual, funny Deadpool you would imagine, but does also feature some very VERY dark stories, which suddenly go into very somber and serious places about Wade’s origin and life in general (especially vol.3 Good Band And Ugly and vol.6 Original Sin). There was also a series of mini series which built on each other, that feature another reality’s version of Deadpool, called Dreadpool. This version is downright evil without much humor and started his life by murdering the whole Marvel universe of his dimension, then went on to murder popular fiction characters and in the end tried to kill every incarnation of Deadpool across the different dimensions, which leads him on a collision course with “our” Deadpool. It is a very different take on the character, so beware! Another special little title I want to point you towards is Uncanny X-Force. While it’s not a solo Deadpool book, it features one of the best versions of the character, as he works especially well inside a team environment. Uncanny X-Force is about a squad of mutants and Deadpool (who is technically not a mutant) brought together by Wolverine to kill threats to the mutant species before they arise, in secret. A secret death squad, of which Deadpool becomes the voice of reason and the human conscience of… which is why this is such a great read and a very different role for Wade to be in. It totally works too, while also keeping everything people love about the character intact, like the humor, violence and madness, but the added depth to the character went a long way to make him even more layered and not only a funny character. For a lot of people Deadpool never has been better than in this book, so check it out! A character as young as Deadpool might not have as many classic stories as Batman, but he still has a very respectable amount of older stuff that is very worth checking out. Most of these stories are still in the continuity of the character, but won’t heavily influence the current comics as much, but it’s still a lot of fun to see where the character came from. The first run here is relatively new still and features the version of Deadpool most people know… the one with the three different personalities that conflict with each other in his head via yellow thought boxes. 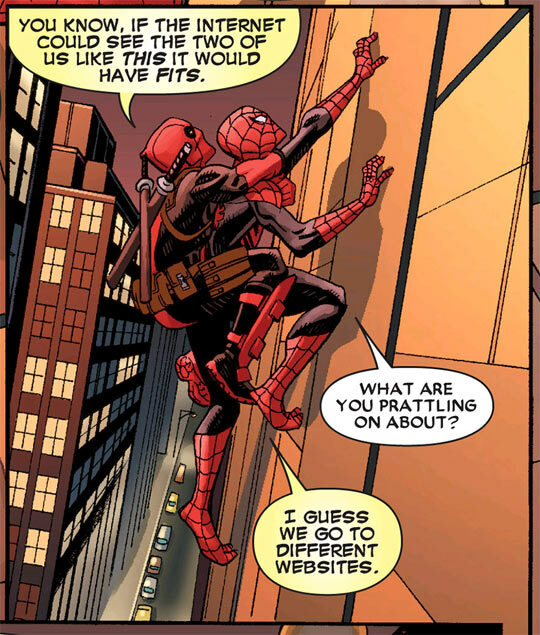 It is written by Daniel Way and is PURE Deadpool humor stuff. but you can also get the Deadpool Classic TP’s, which collect everything from the first mini series of the character in the 90s, through the Joe Kelly run and the Deadpool Corps and Deadpool Team -Up series, which ran in the 00s. So, let me close this out by saying that I hope this makes your entry into this cool and funny character a little bit easier. If you have any recommendations for other books I might have forgotten, or another character you would like a Where to Start on, let us know in the comments below.